Dimensions: approx 10 cms tall. 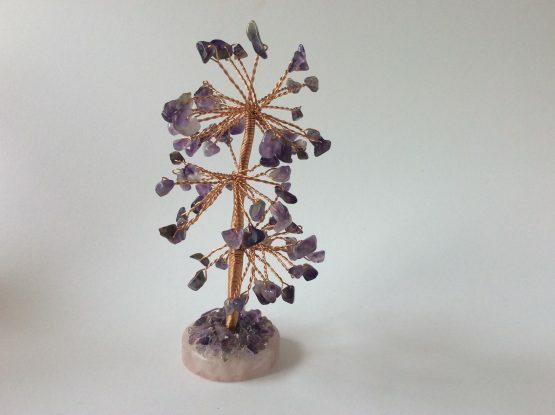 Base is 4 cm diameter and is quartz with amethyst crystals around the base of the tree. These Beautiful Gem trees come with the branches folded in so that they are not damaged in transit and also to allow you to arrange them in your own personal shape. 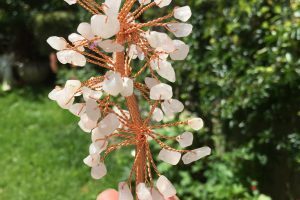 Do Gemstone Trees really improve Feng Shui? Yes! Its true… These wonderful little gemstone trees offer a powerful feng shui cure. In traditional feng shui, trees create a space where chi, or life-force energy can freely flow. 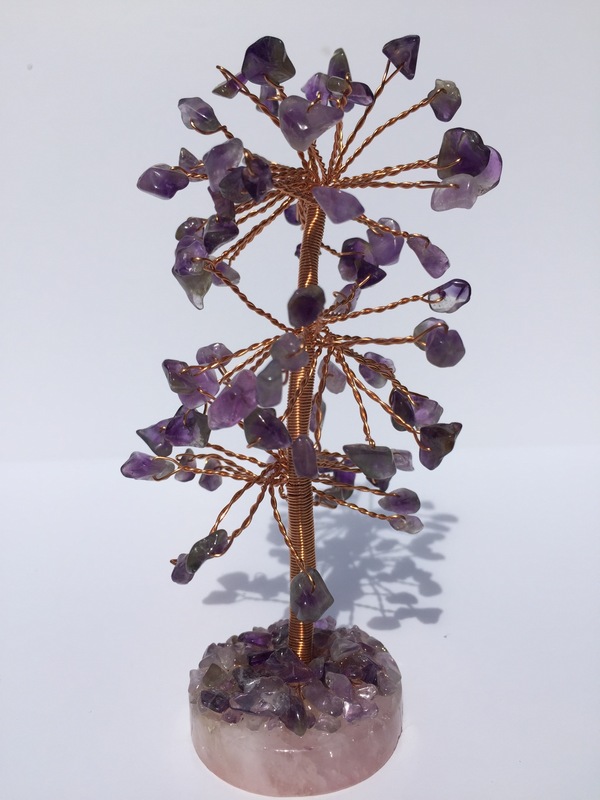 The energy of gemstone trees is one of freely flowing abundance. Whether you place this little crystal tree in your home as a decoration, on your altar for its symbolic value, the gemstone tree is a beautiful all by itself. 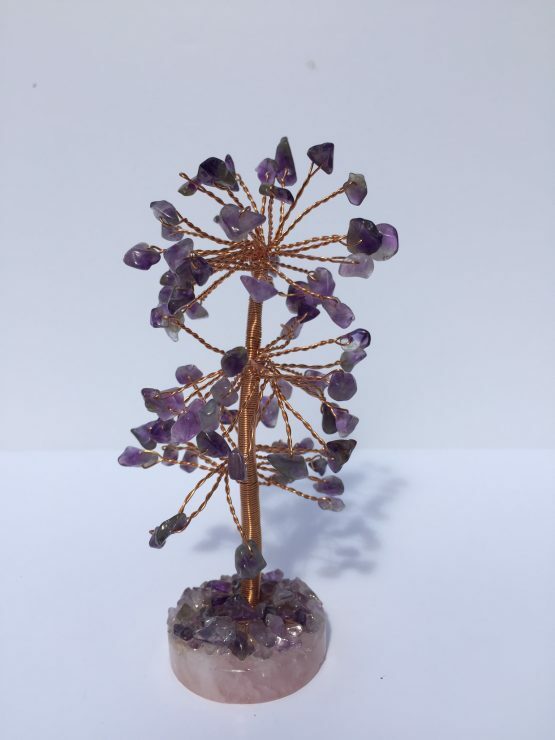 Each tree features a piece of wood as its base,with a wire tree “growing up” up from a base of small gemstone chips, and blossoming outward into beautiful gemstones that represent the trees leaves. Use these little gemstone trees to “grow” positive energy in your life and attract positive energy into your home, spells, and meditation.